The procedure involves a heated laser applied to a problem area in order to deliver heat through the outer layer of skin in fractionated quantities (like pixels), which in turn triggers your body’s natural response to produce new collagen to heal that same area. The result is firmer, tighter skin, that comes to appear healthy and smooth with minimal recovery time, since some of the skin is left untreated to help the treated skin to heal faster. 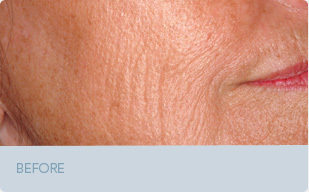 Fractional skin resurfacing can be applied to the face, neck, lower eyelids, back of the hands and scars to improve skin texture and elasticity. ARE THE RESULTS THE SAME FOR EVERY SKIN TYPE? Depending on the condition of your skin, the treatment is administered in a series of up to 6 sessions, with usually 4 weeks recommended between every session, in order to maximize the safe and natural growth of new skin tissue. 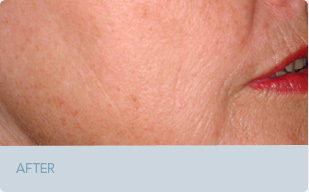 The treatment is effective for most skin types, though patients may experience some peeling or very mild scabbing within 3-5 days after each procedure. Depending on your skin’s condition, fractional skin resurfacing can prove a more effective treatment than Microdermabrasion, Chemical Peels or Photorejuvenation procedures. Often they can be used in combination. We will advise the care that best suits your health and the results you’re looking for.